The Melbourne International Comedy Festival rolls into town next Wednesday (March 27, 2013) bringing with it a wealth of dating opportunities with guaranteed LOL’s. You have two options here; book ahead or grab a ticket on the night from the ticket booths on Swanston Street. Booking ahead is your safe option, and for a spontaneous date, head to the booth and see what’s available on that night. Times will obviously vary between shows, however most will be kicking off between 7pm – 8pm so a quick drink and a bite to eat close to the venue is imperative. Cabinet Bar can be found at the end of the rainbow, Rainbow Alley (weak attempt at comedy festival humour). 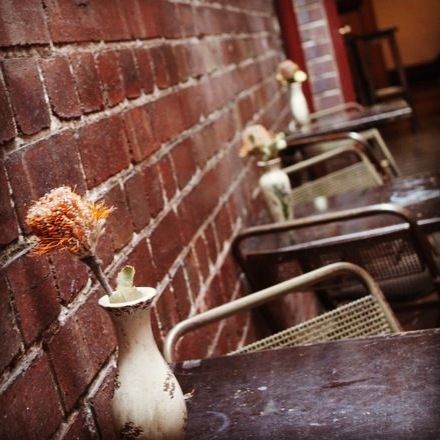 You‘ll find the doorway under the green awning and atop the stairwell sits a quiet and relaxed little bar with a balcony overlooking the hustle and bustle of Swanston Street. Order a glass of vino and choose from a selection of tapas and flatbreads to nibble on while you chill out and wait for the show to start. Last year I spotted Steven K Amos at this very bar before a show, so it has to be good. 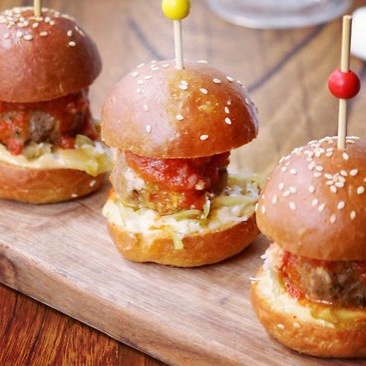 To get yourself into a giggling mood, start the night off at Meatball & Wine Bar. There is sexual innuendo aplenty on their menu – ‘how do you like your balls?’, ‘I’m having the balls and all’, ‘Your balls are delicious!’. The balls are actually delicious and are served on pasta, salad or in a roll. It’s a very smart and simple idea that is working very well on the ball-loving people of Melbourne. It can get rowdy so there shouldn’t be any awkward silences but if there are just say ‘balls’… works every time. After a few ball jokes and a few glasses of wine you should be in prime condition to hit a comedy show. The area around Spring Street is full of ‘pre-show bars’, but most of them are targeted at the red wine swirling and cigar smoking types who will be waiting to see Jersey Boys. Not really the type of places you’d take someone on a date, unless of course you are of that type and in that case you are probably on the wrong blog. For the rest of you, let’s head to a bar that’ll feel like you are popping into your mate’s place for a drink, Von Haus. This bar is tiny (and thus ideal for strategic leg brushing) and is spot on for pre-show drink for two. Food and drink options are slim, but the team here focus on quality and service. And of course like most good places in Melbourne, it’s hidden down a laneway (off Bourke Street). Most around town should know of Journal Canteen, the lovely little restaurant ran by the even lovelier Rosa Mitchell. Now Rosa has gone out on her own and has recently opened up Rosa’s “new” Kitchen on Punch Lane. Sticking to what she knows best, Rosa will serve you delicious Italian food packed with plenty of charm. Perfect place to start off a date, Rosa and her team will make you feel welcome while you enjoy a wine, maybe an antipasto or a few tasty bar snacks. Would you believe it’s on a laneway? And of course it’s but a stones throw away from Princess Theatre. Remember St Jerome’s? That pioneering laneway bar before laneways were in vogue, well Jerome Borazio has started a new venture in the Happy Palace. Think suburban 80’s Chinese kitsch. This is a Chinese restaurant that won’t kick you out after your last mouthful. While you’ll probably get better value in Chinatown, the food is tasty, the staff are fun and the place is cool. 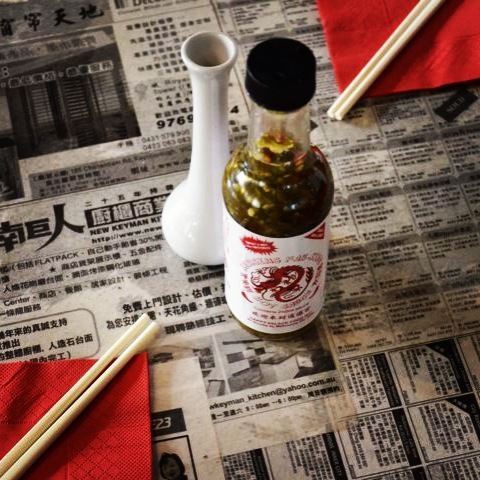 Unless you are already drunk, Chinatown on a date can be hit and miss, so play it safe before the show and head to the Happy Palace and be happy. Howdy, Awesome posting. Likely to issue and your web-site with industry, may possibly examine the following? For example however will be the sector fundamental and also a large element of people may omit your current great writing just for this issue.